April 15th marks the opening of a new striper season in the marine district of New York, and soon after this date, big stripers which I define as those in the 30 to 50-pound range, will be reported in social media reports being caught off Virginia, Maryland, New Jersey, and the western waters of New York. Some of these big fish will have just spawned in southern Mid-Atlantic waters (Chesapeake, Delaware Bays), while some others will be heading and make their way to upper New York Harbor and into the Hudson River to spawn. Montauk experiences stripers start trickling into the area of the ‘Forks’ by early May. 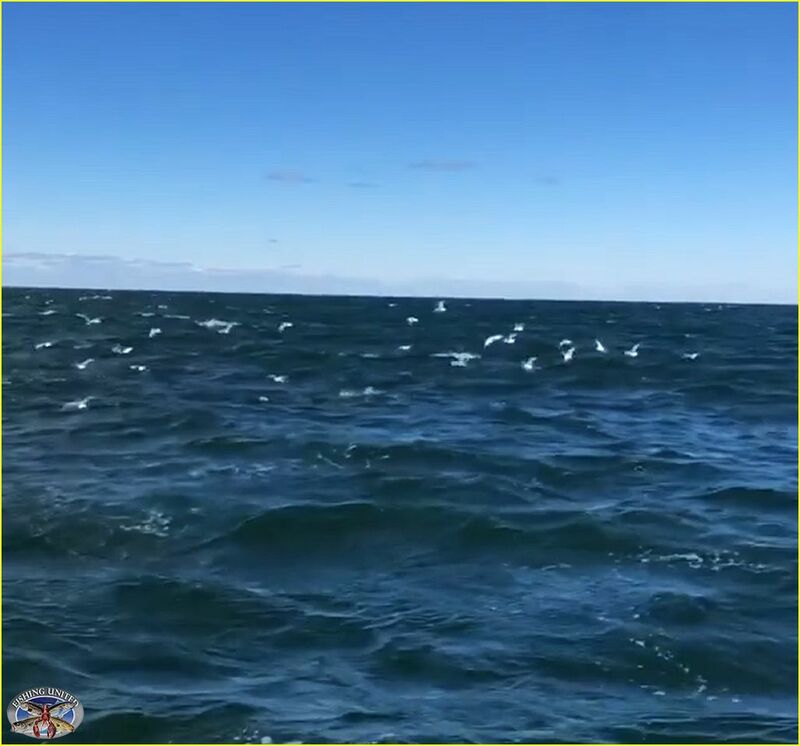 These are predominately fish in the 25 to 30-inch range which are constantly on the move, and rarely take up residence off Montauk as they are destined to migrate further northward along the coast into New England waters. I will note though that during some years in the spring, striped bass fishing can be very good with slightly bigger fish being caught to about 20-pounds. Just prior and during the Memorial weekend period and through the first week of June, also joining the striped bass which are feeding on the plethora of sand eels, will be the arrival of scup, bluefish, sea bass, and fluke. Contrary to what some fishermen believe, but the big trophy stripers do not show in any significant numbers off Montauk until the first new or full moon ‘spring’ tides that will occur around the first week in July. 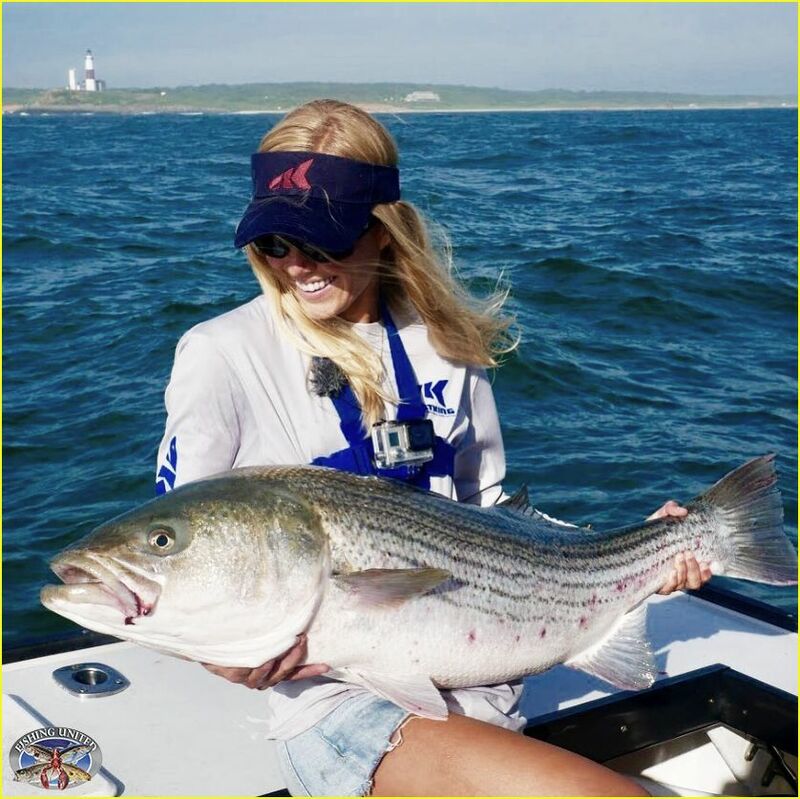 The arrival of these big stripers is a welcomed event to Montauk anglers, as “we Montauk fishermen” have been nothing but spectators to the fishing reports of big stripers constantly being caught to the south and west for the prior three months. This body of big stripers I believe, are primarily made up of the southern or Chesapeake stock, and migrate northward due to the progressing warming water temperatures during the spring. 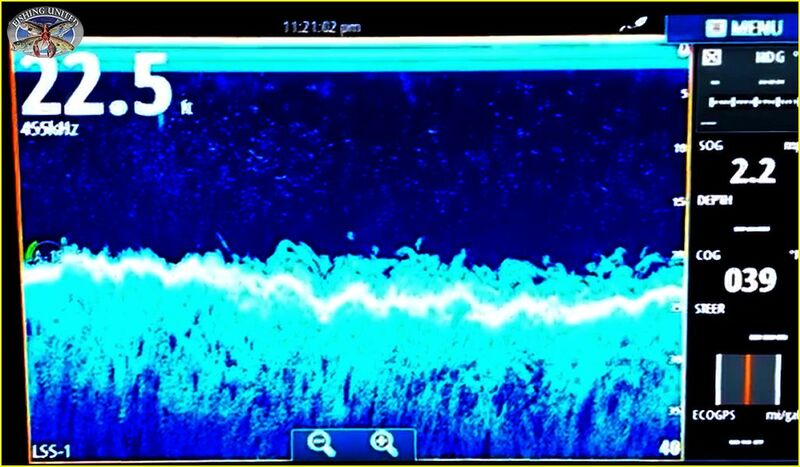 From decades of experience of monitoring the movement of striped bass, the ‘West End’ of Long Island would have very good spring fishing since it is still “literally loaded” with huge schools of bunker which these fish now prefer to feed upon. But regardless of this abundant, easy, food source, big bass from the south are genetically programed to push north and east up the Coast to stay in their preferred water temperature ranges. I feel, and once again going back to my years of experience in the striped bass fishery, most of the stripers off Montauk are from the southern stocks of fish. Over roughly the last eight years, I have caught upwards of 10-tagged stripers, and every one of these fish have come from southern tagging programs. On this note, I wish a tagging study would be done to provide both fishery biologist and of course both the Commission and various state fishery regulators on what percentage of Montauk stripers are made up of the southern stock of fish (Chesapeake, Delaware Bays) and those which are from the northern Hudson, Raritan and Connecticut Rivers that spend their time in the waters surrounding the east end of Long Island as well as the adjoining waters off Connecticut and Rhode Island. Fishing for big stripers in July is well noted to be very productive on both day and night tides. This is especially true during a seven day period around the full and new moon periods (2-days before the moon, and 5-days after). Anglers come from far and near, either by steaming out to Montauk Point on their boats, while others trailer and then launch from one of the local boat ramps. Many others though will do what most fishermen prefer by being a customer on one of the many professionally and well noted charter boat operations. 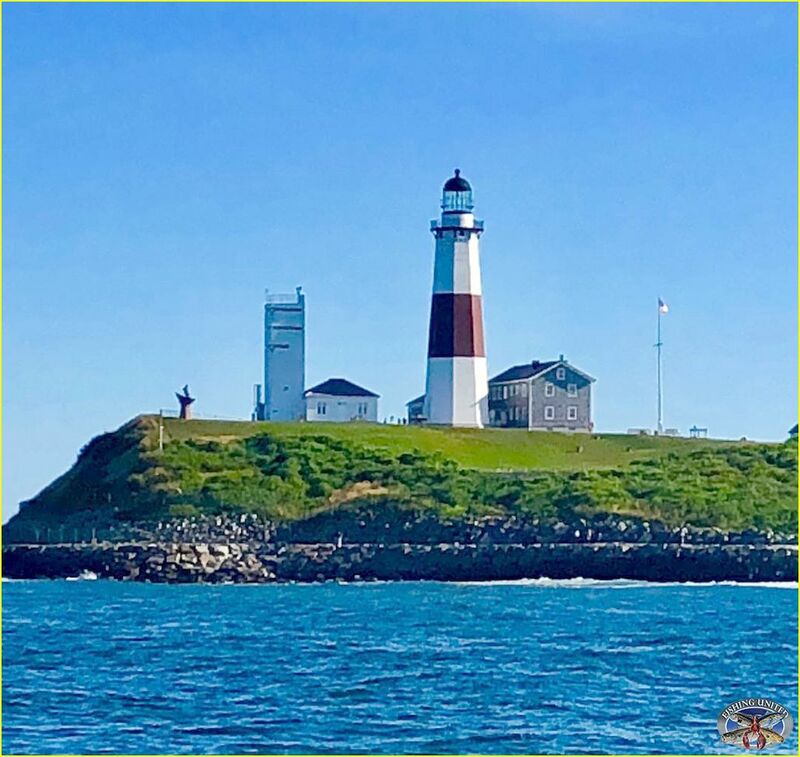 The planning each and every season by these fishermen is to experience the thrill of battling big stripers in clear view of the Lighthouse off the ‘Mecca,’ Montauk Point. On beautiful summer days, the amount of boats on the fishing grounds from Thursday until Sunday at times is astounding, especially for those experiencing it for the very first time in the number of different sized vessels constantly fishing throughout the day. It is also a period that for the regulars who fish off Montauk, is chaotic in terms on how it daily plays out in safely working around the boat traffic on these water, but still the stripers will often bite ferociously on certain portions of tides. Allow my indulgence to get off topic for a few sentences, but I feel this must be mentioned. Of course, it didn’t take long for the recreational anglers to follow the Montauk hi-liners in order to learn and get in on this tremendous striper action. Now, the night bite is regularly to be expected to be the “proverbial zoo of boats.” In fact, two seasons ago a high-speed collision happened in the vicinity of Montauk Point. 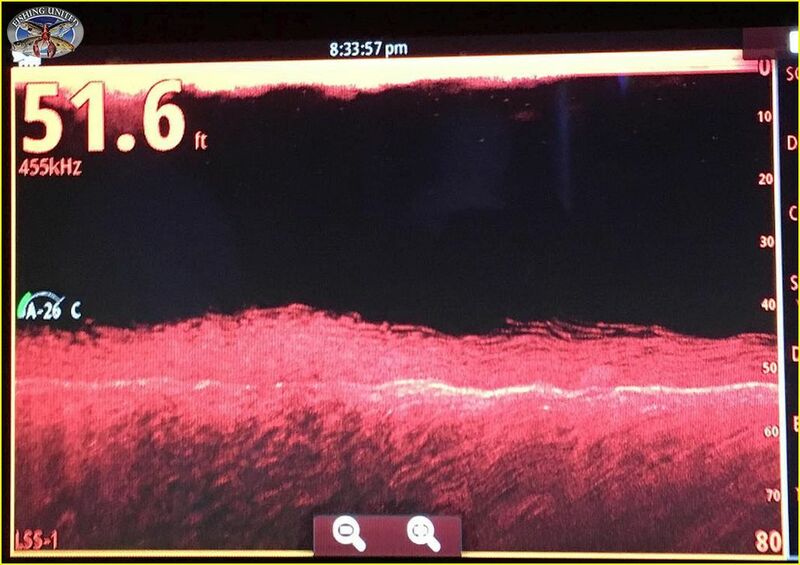 The culprit, probably drunk, fled the scene to Shinnecock Inlet, not rendering aid to the angler which was knocked into the water. Thankfully a Good Samaritan came to the aid of the angler in the water and all ended well except for a demolished boat. The dirtbag who fled, was later caught and got nothing more than a slap on the wrist by our wonderful justice system. 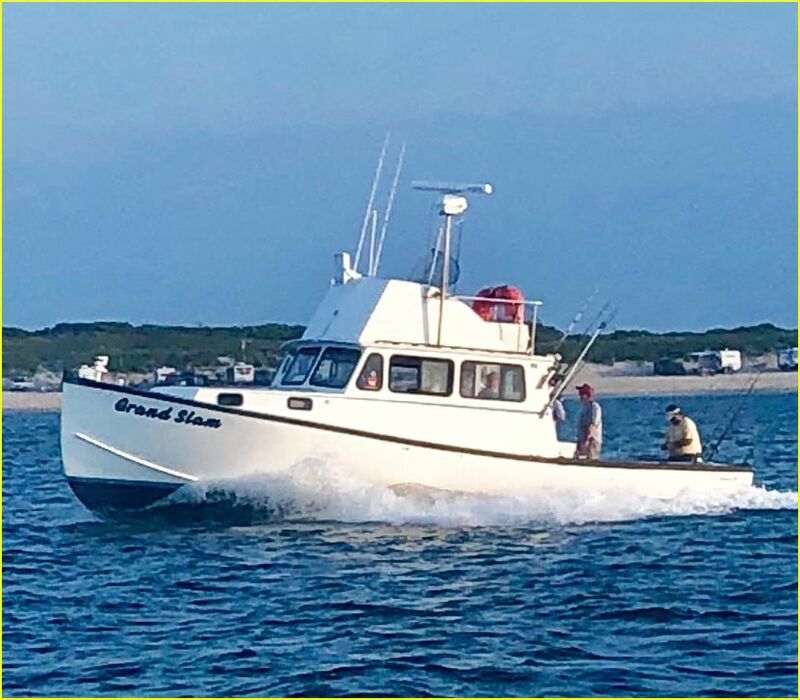 Because of the overcrowding of recreational fishing boats that come to Montauk from far and wide to catch stripers during the season, it’s only a matter of time before a more serious boating accident or even a fatality occurs due to the growing fleet of boats seen each and every year. 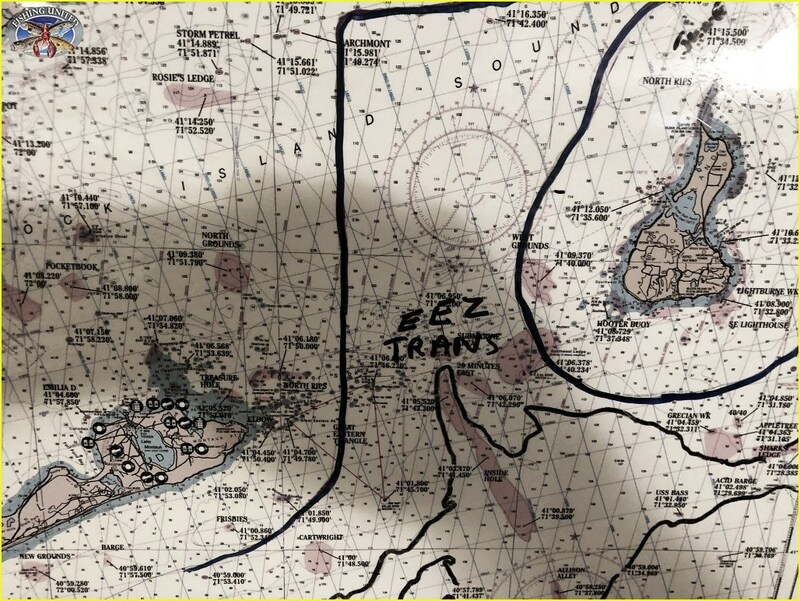 It is obvious that some are operated by those who are not experienced with both the weather and tidal conditions which are common and instantly changeable in a short period of time off Montauk Point. 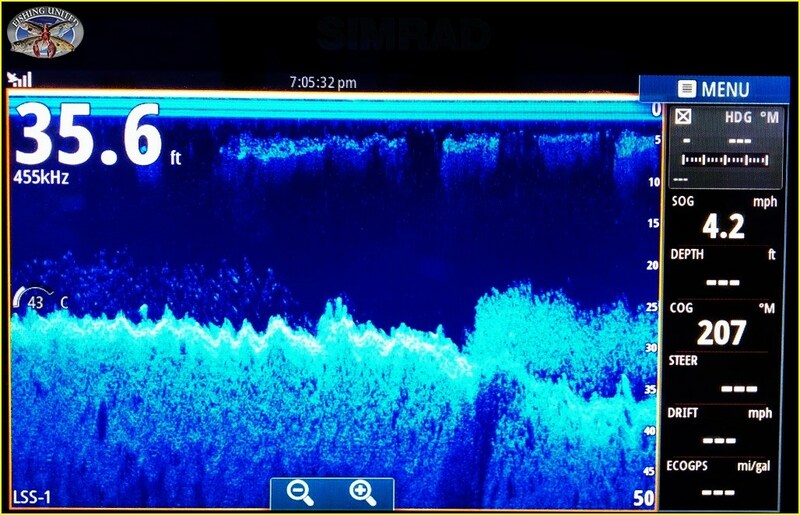 Distractions always magnify in an area where numerous vessels and their captains are just focused on fishing for striped bass on specific rips or structure during a tide, instead of being alert and paying attention to boats which are normally closely packed near each other. 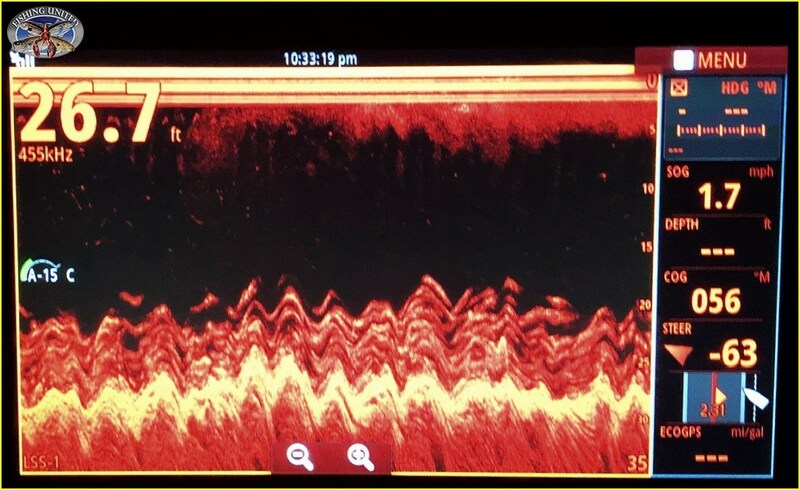 By mid to late August, the waters off Montauk begin to warm to a water temperature that for a majority of big stripers will move, or as we sometimes hear over the vhf radio, “shift them over” a bare few miles to the east and take up a temporary residence in the “pseudo striper sanctuary” located in the federal waters ‘EEZ Transition Zone’ that lies between Montauk Point and Block island. Here the water is cool and bait rich, and this combination is all the stripers need to survive and thrive for the next six or so weeks during the latter summer and early fall period on the calendar. 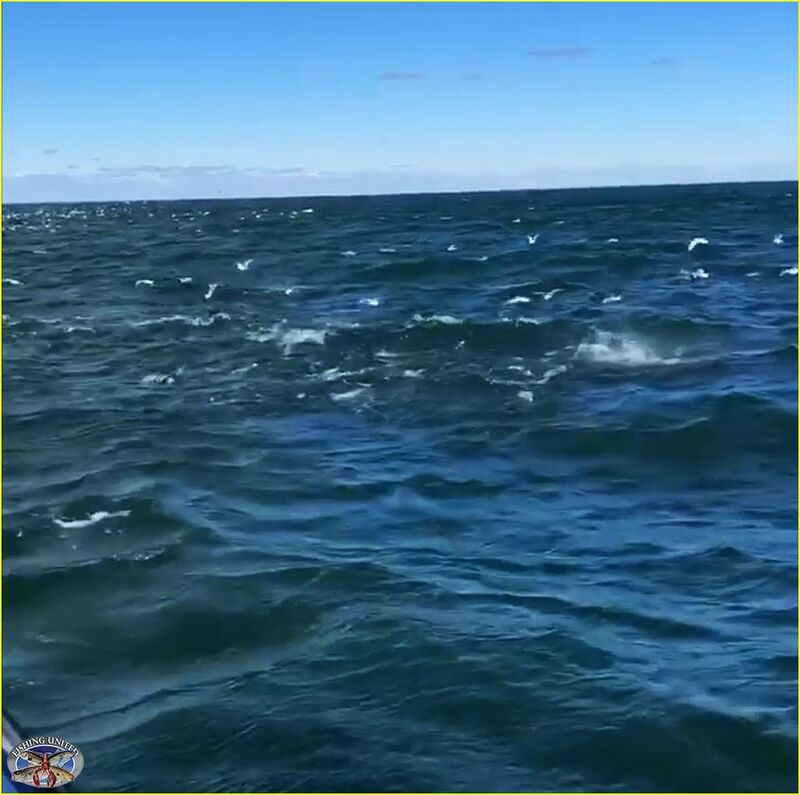 At some point in late September, the changing early fall weather, normally noted by the cooling northerly winds, cause the water temperature to drop just enough and trigger the big stripers to begin their migratory trek back south for their fall migration. 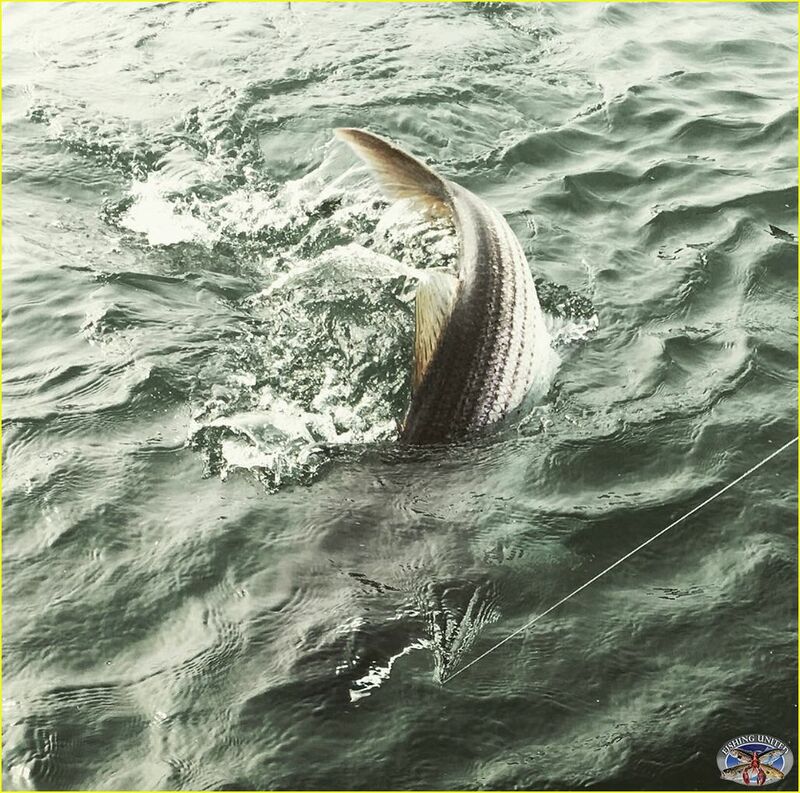 Many schools of big stripers which resided in New England waters during the summer will now raid the Montauk rips at this time to feed heavily on the abundant bait found here. The big bass stay in the area for about three weeks before they leave the tip of Montauk and head west along the Long Island South Shore. Eventually they bend off to the south where they are now targeted for harvest by a countless number of anglers along the coast from New Jersey to Virginia. By the second week October, Montauk will see the occasional big bass pass through, but rarely will these big fish stay for more than a few tides. The majority of stripers caught by mid-month will be school sized fish ranging from sub legal fish as small as 22 inches to those which are legal possession size and normally measure up to 32-inches in length. By the end of the second moon tides in October, Montauk striper fishing is now well past its peak and winding down. For approximately the last five to seven years, November marks the end of striper season as fewer scattered schools show up and then quickly make their way west of Montauk Point. 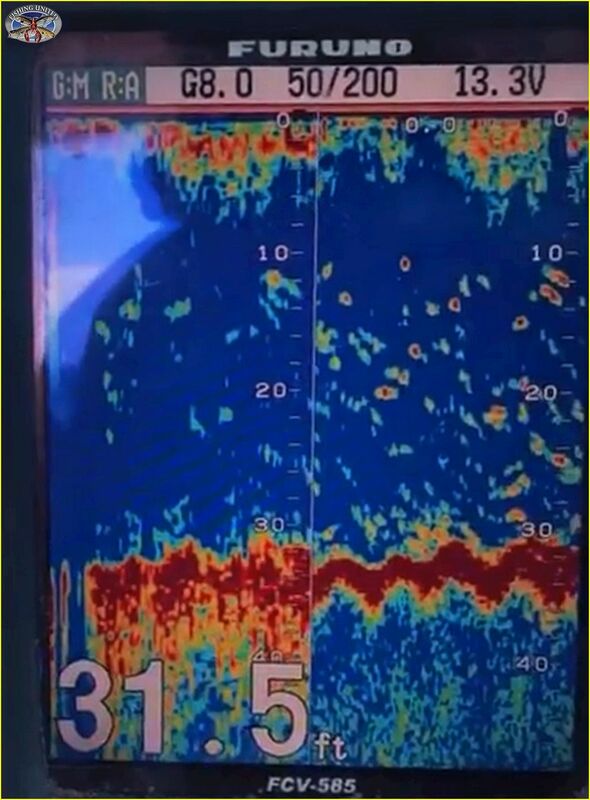 However, this is the time of the season that extremely large catches in the number and size of striped bass are made by commercial gill net boats working an area along the Amagansett and Hamptons shoreline, and right on through to just east of Shinnecock Inlet. Very often, huge net sets of stripers are harvested in the shallow 10 to 20-foot depths right off the beach. During this same time frame, recreational anglers fishing from Shinnecock, Moriches, and Fire Island Inlets see some of the wildest striper fishing imaginable where fishermen will chase and toss jigs to striped bass breaking along the top of the water. 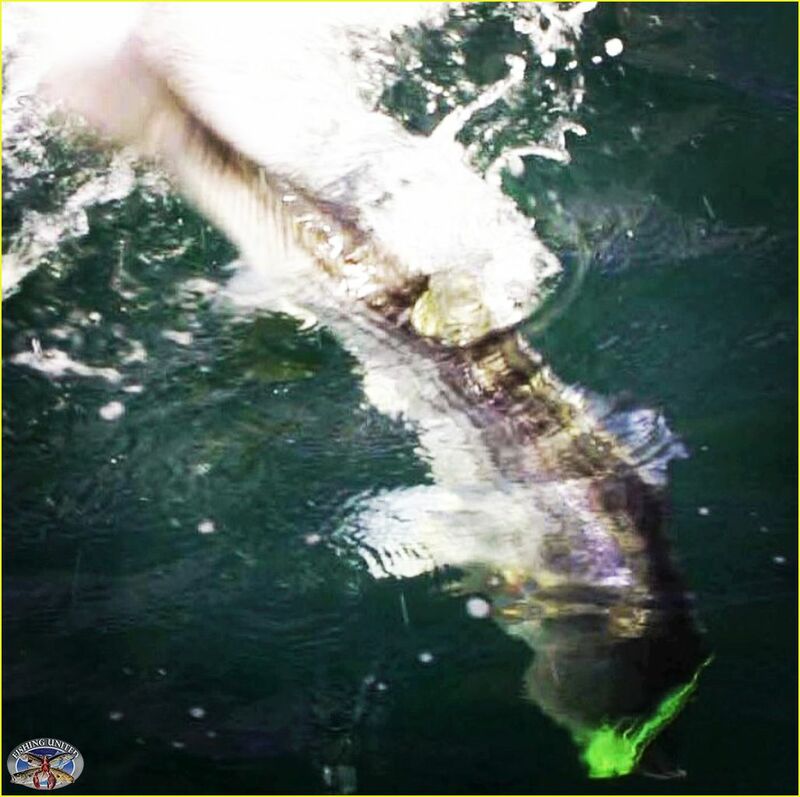 The migration of the stripers continues on through the month of November, and as the bait moves, so do the stripers which eventually reach the most western points of Long Island and along the shores off New York City where these angles will also experience successful fall fishing which the rest of Long Island previously enjoyed. 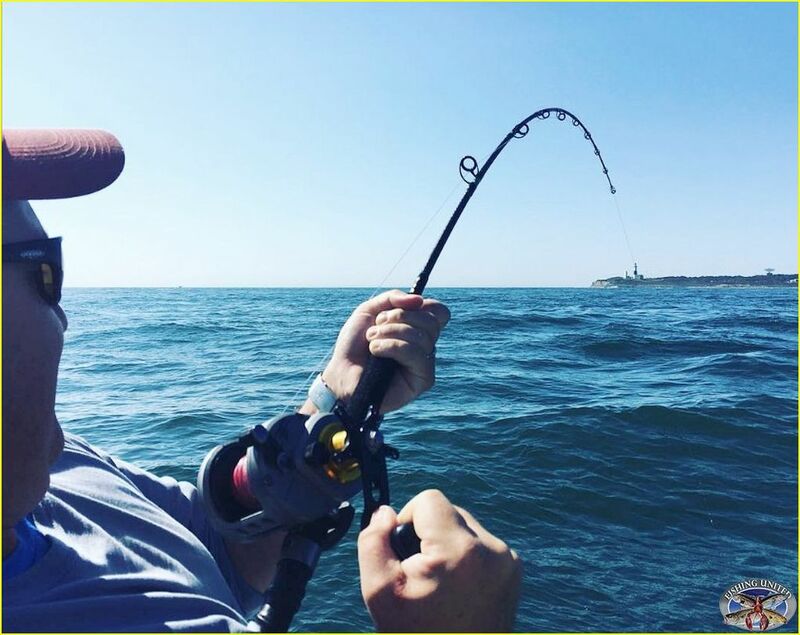 Montauk used to consistently have very good November fishing right through Thanksgiving, despite the windy and unsettled weather that occurs at this time of the year. There would be the expected lull in the action for a few weeks in late October and early November, but once the water temperature reaches about 55-degrees, vast schools of herring start to appear and it is “game on fishing” once again. These are not the big stripers we see during the summer months, but it is, or shall I now say, was great fun at this time of the year in live lining herring to 27 to 32-inch stripers all over the Montauk rips. This traditional ‘rod and reel live herring’ fishing slowed and eventually ceased, much in part due to the localized depletion of herring by the commercial mid-water trawl fleet in southern New England waters which ramped up over the last decade. This corresponding time line of the end of the live herring fishing off of Montauk is now seen in the most updated research which just appeared in an article recently published in the November issue of the Commercial Fishing News. One of the walk away points which can be summed up and based upon public statements made by both regulators and fishermen is on the relationship of the increased near-shore commercial fishing effort and the resulting negative impact to the eco-system in our region due to decreasing forage fish populations such as herring. Over the last decade, fishery biologist have concluded that there is an integral “predator - prey” relationship in play, unlike what most fishermen will consider just ‘bait fish,’ and the science has now found that the health and viability of both the regional groundfish complex and as much, the striped bass stock is directly linked to protecting the herring stock. It should be noted that the New England Fishery Management Council has recognized this environmental impact with the decrease in the herring biomass, and has taken responsible steps over the past few years to decrease the allowable landings for the commercial mid-water trawl herring fishery. However in getting back to striped bass, I’m not a Debbie-downer about the striper fishery as I see good numbers of small stripers in the reproductive pipeline, as well as a solid selection of many of the bigger and latter year classes, so I think it’s just a matter of time until Montauk Point sees this extremely enjoyable late season action once again. For the last few years just prior to Thanksgiving, the striped bass season is considered done for the year off Montauk Point. Many of us who have regularly fished day and night for striped bass starting normally in May, have or are now packing away our trolling, chunking, live bait and jigging gear and look forward to when the season opens in mid-April here in New York the following year. I do hope this give those fishermen who enjoy coming out to Montauk to fish for striped bass, a good idea on what to expect to encounter during the various time periods of the season.